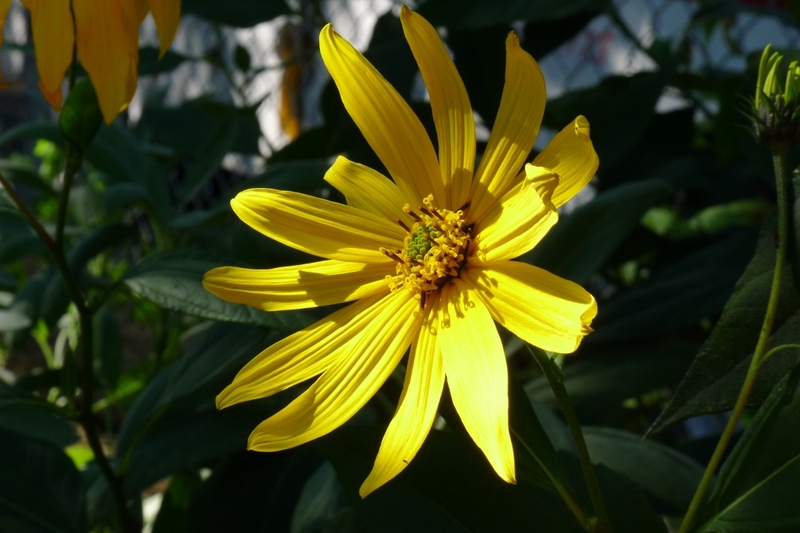 Jerusalem Artichoke (Helianthus tuberosus): growing, planting, caring. Helianthus tuberosus - The Jerusalem artichoke - is a species of sunflower native to eastern North America, cultivated widely across the temperate world for its tuber, used as a root vegetable. It is a herbaceous perennial plant growing to 1.5–3 m (4 ft 11 in–9 ft 10 in) tall with rough, hairy opposite leaves on the upper part of the stem but alternate below, and yellow flowers produced in capitate flowerheads. Jerusalem artichoke - Helianthus tuberosus - is a perennial species of the Asteraceae family, grown as a vegetable for its inulin-rich tubers. It is a species close to the sunflower! 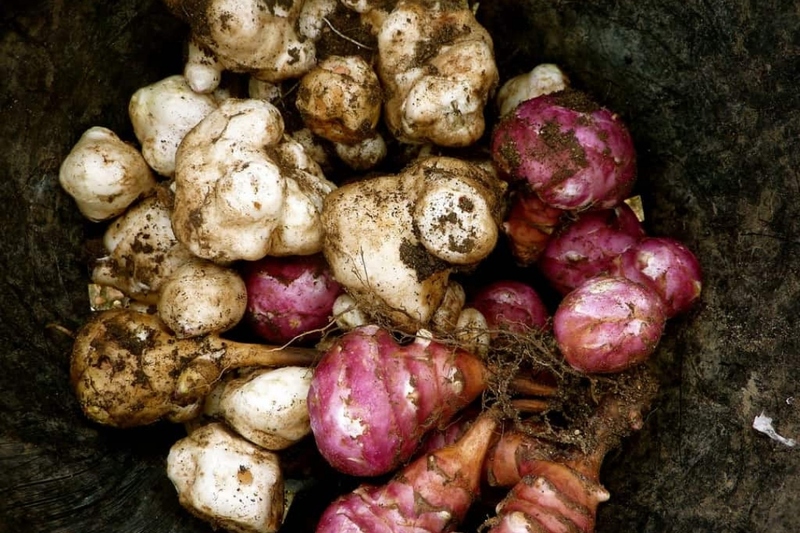 Plant tubers from February until mid-spring. You can use tubers preserved from previous years! 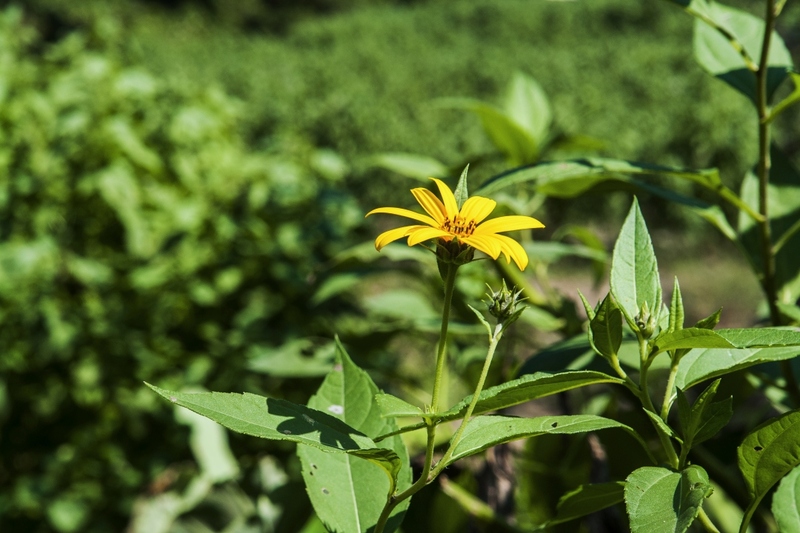 Jerusalem artichoke grows on ordinary land: you can slightly amend in the months preceding planting. Plant with a spacing of about 80 cm to 1 m between each plant. Bury the tubers 10 cm deep, lying. Cover with soil without tamping. Jerusalem artichokes do not need watering, except in case of drought during flowering. In this case, water in the evening or in the morning, without wetting the foliage much, which it favors mildew. The harvest can be done about seven months after planting, from September to March, depending on the region, and depending on the needs. The unearthed tubers can not be kept and the torn tuber is afraid of frost. It is usually around mid-October that growers begin harvesting, but as the fall progresses, the taste of Jerusalem artichoke improves. Well maintained, Jerusalem artichoke cultivation can yield a crop of about 3 kg / m2. It is done from flowering and throughout the winter according to your needs. Tear up the tubers by lifting them with a pitchfork for example. Leave the Jerusalem artichoke tubers you do not need in the ground because that's where they keep best. Once out of the ground it is best to clean your Jerusalem artichokes with a brush to remove all the soil. This improves storage conditions by removing all traces of moisture as there is a risk of developing diseases. The best place to keep Jerusalem artichokes is a cool room, not very bright and dry. Jerusalem artichokes are quite hardy, but can be affected by mildew. It causes leaf spots and grows in cold moist weather. Protect your plants by avoiding watering the leaves, or even sheltering them from the rain if possible. In case of attack, you can treat with a water solution containing 5 grams of baking powder, with some black soap. Before the first frosts, add a layer of dead leaves to protect your Jerusalem artichokes from the cold: not that they are particularly fragile, but if the earth were to freeze, the harvest would be much more difficult!